On the final months of 2017, I had the privilege to work with the Tmreya company, main HQ based in KSA. We developed their website, and now developing the app. Those of you who have been in the Middle East might have heard of it, but the brand itself is authentic and elegant, so we thought of implementing the same authenticity for their website. Now, in this article, I wanted to point out some features of the website and how it’s a great sample for authentic web design. 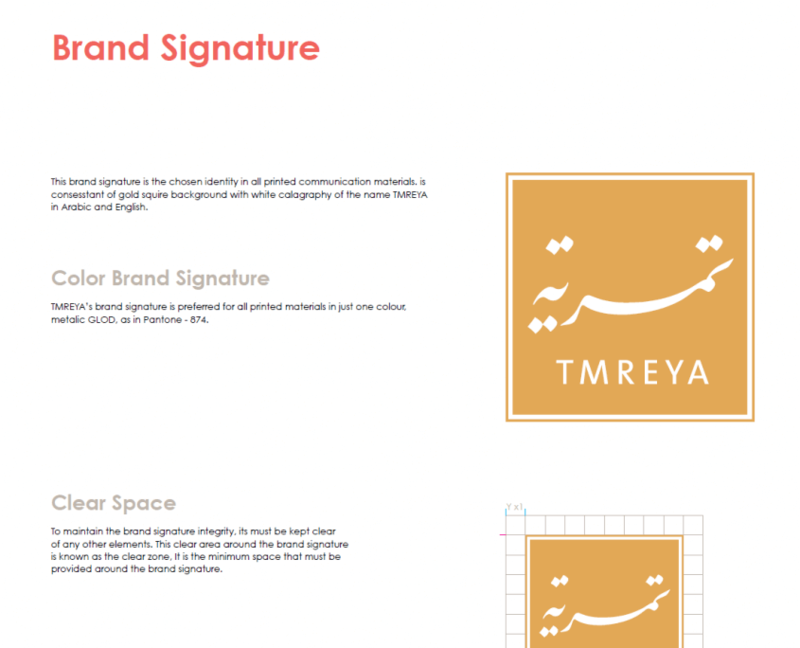 One of the things that adds authenticity to Tmreya, is that it has a well-defined brand. A brand doesn’t mean just a logo, it usually consists of an Identity Guideline, including the brands main color codes, typefaces, and a brief explanation of the brands purpose and representation. There are some great examples here if you want to see more. It will include information about the brand proportions, color policy, background, incorrect versions, and other imagery or art graphics. All this info will add value to an authentic web design for our teams. When you have a product or service, you should be able to show it off. Tmreya does a great of job of doing this. I must confess, when I first saw their YouTube channel I went searching for chocolate! So weather if it’s video or photos, you should know the exact purpose of it and show it off just the right way. For example, in Tmreya Product pages, the photos are simple HQ photos of each product shown all alone on a white background (with great lighting), one of the best practices of ecommerce and product show cases. I must say, without the beautiful photography contributing to authentic web design, the website won’t have half the value it has now. One thing that makes this website dynamic and fun to get back to, is the ability to order online. The payment systems implemented is COD, in case the customer wants to pay on delivery, as well as HyperPay and Sadad, two very popular payment gateways in the KSA. As Tmreya has several branches all over KSA alone, our teams also implemented a custom system in the delivery options, meaning that orders will require you to provide your location and nearest branch, thus sending notifications to that branch upon that order. This speeds up their customer service, as well as allows them to control sales as per location as well. If you make an order, you will also notice that shipping rates, taxes and minimum order rates are configured through the Woocommerce platform, allowing the website owner to make maximum usage of the website features. Using the reports in the system, they can monitor sales per dates, product count of purchases, refunds, number of orders and more. 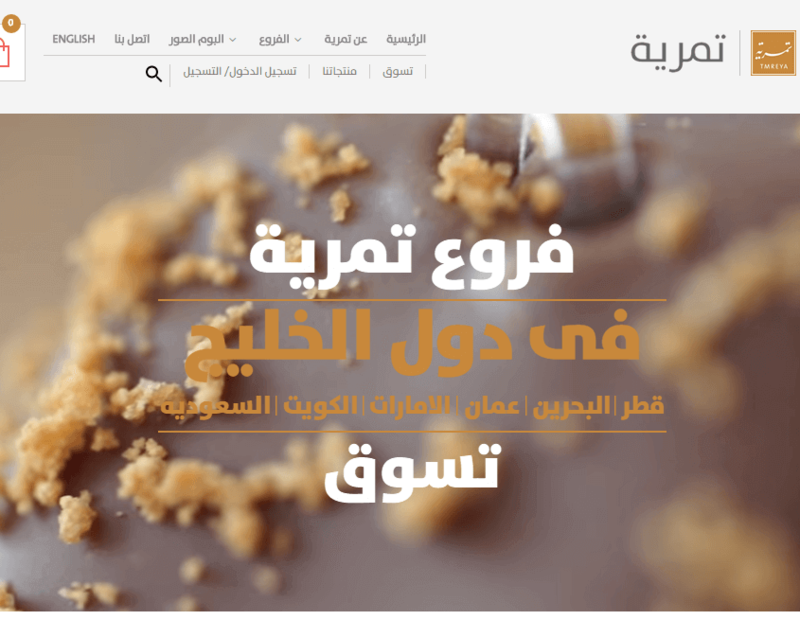 This stylish website is also fully bilingual, in which in the Arabic version, it is using the exact typeface of its identity guidelines, The Sans. It’s fully RTL interface can be seen here. 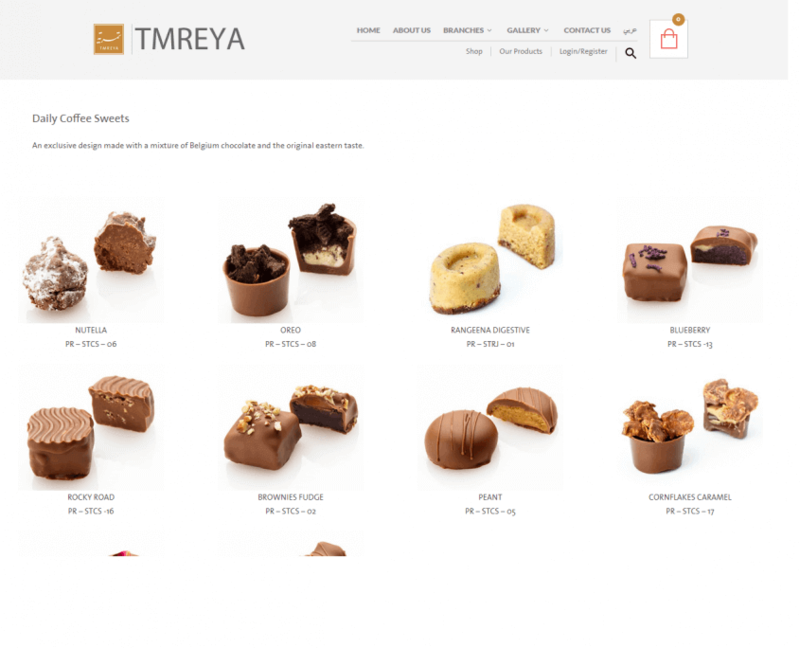 Comelite teams are working to finalize the Tmreya app as well, which will be released next month, using APIs to connect to the current website and reflect it in the app, providing a compact view and mechanism for Tmreya clients to make their chocolate product orders. Tmreya has is also renown for beautiful and mouth-watering imagery in their social media platforms, such Instagram and Twitter, which our teams used to show a feed of it in the footer of the website as well, not to mention one of their latest videos, as they constantly have updated appetising videos. Up to now, it has been a pleasure to work on such an authentic web design for Tmreya. We are pleased to welcome all our clients to use it as a sample and even learn from the business methods to improve their brand. It will be an honor to introduce their app once that is released as well. Let us know in case you need help to improve your brand or want an authentic web design.